The walls of the Fuller Garden Court in the Seattle Asian Art Museum may look like marble or limestone, but they are actually scagliola, a form of plaster made to look like decorative stone. Over the years, the fragile scagliola walls and panels of the historic building have become damaged and discolored. As part of the museum’s renovation, these walls are being repaired and preserved. Cracked panels are being pieced together and glued using polymer injections, while the backsides of the panels are being reinforced with plaster and burlap or fiberglass. In addition, the faces of the scagliola panels will be patched with Keenes cement and a colored cement mix, and any scratches will be filled. Lastly, the walls of the Fuller Garden Court will be cleaned and polished. 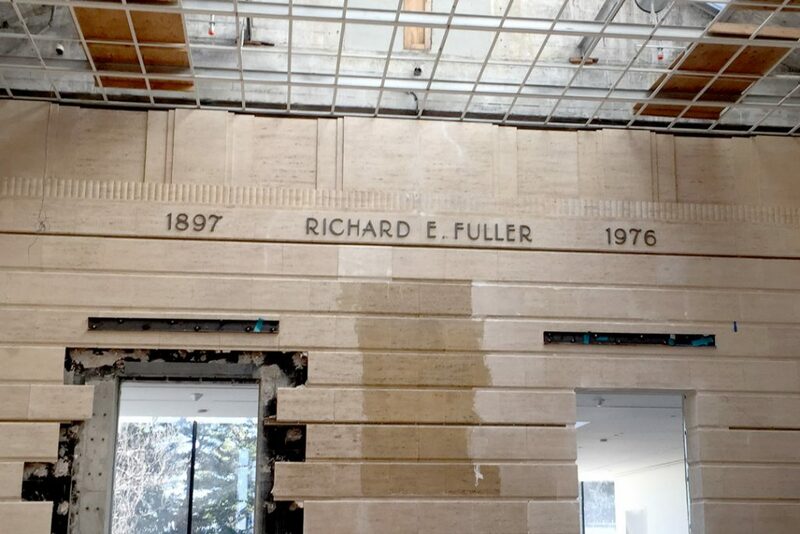 When the museum reopens to the public after the renovation project is completed, visitors to the Fuller Garden Court will enjoy a space that closely resembles the way it would have looked when the building first opened in 1933.